When you move into a new area, it's important to get the facts about where you're considering buying a house. What may look like a great deal on a house may, in fact, be someone who knows a highway is about to take half of the front yard! Or, maybe it wasn't such a great idea for the builder to put new homes next to a crime-ridden part of town. Or, maybe the house is sitting in a flood plane. Are you loving the house that backs up to a green hillside? You should know that in the summer that grass becomes brown and dry (becoming prone to wildfires) and nature (snakes, bear and coyotes) may wander down from the hillside. Santa Clarita is a great place to live, but there are some things that only the locals may know. And you're realtor can't legally tell you things they may wish to share. Check out this blog for information on fair housing laws. Since we are not realtors, we can share with you here some of those "insider secrets" about Santa Clarita. Check out the link above for news, present and past, from the Sheriff's Dept. Everyone knows living in California comes with a risk of living through an earthquake. There are two major fault lines running through Santa Clarita Valley. The longest, the San Gabriel, begins in Sand Canyon Road and runs northwest roughly across Kelly Johnson Road and up to Pitchess Detention Center. The second much shorter fault, the San Cayetano, runs roughly just north of Magic Mountain Parkway, across Interstate 5, and ends near the California Highway Patrol station on The Old Road. See the map here of Significant Earthquakes and Faults. Flood zones in the desert? You bet. Floods may be caused by heavy rains or the break of a dam. Made available by the City of Santa Clarita, the map takes a bit to download, but you can zoom in to locate your home. When the heavy rains arrive during the winter months, some residents find it impossible to leave, or sometimes get to, their homes. The roads most frequently affected are Sand Canyon Road, Placerita Canyon Road, San Francisquito Canyon Road, and the north end of Bouquet Canyon Road (near Vasquez Canyon Road). You may all remember the firestorms of 2007, when a three-year drought and Santa Ana winds combined to create "the perfect firestorm." While wildfires are a natural part of the ecosystem in Southern California, there are things you can do to minimize your exposure. Follow the link above for more information. Just off State Hwy 14 in Soledad Canyon has been the focus of a battle between the City of Santa Clarita and the company with the federal rights to mine 56 million tons of aggregate over the next 20 years. Said to be the largest gravel mining project ever approved by the federal Bureau of Land Management (BLM), it would have added an 18-wheel truck full of rocks to the freeways every two minutes. The effect on air quality and massive amounts of ground water have been of great concern. March 20, 2019: Cemex loses federal appeal. Read SCVNews' article here. July 2018: Senators Wilk and Stern's bill passed in the California legislature with a 27-1 vote that calls upon our federal government to enact legislation that prevents the further development of the proposed mining project in the Soledad Canyon area of the County of Los Angeles. Read more here from SCVTV and SR-96 Bill Text here. June 2018: Santa Clarita City Council members Mayor Laurene Weste and Councilman Bob Kellar, as well as Mike Murphy, the city's intergovernmental relations manager, met with the Department of the Interior's deputy secretary, David Bernhardt. Click here for the update from The Signal. 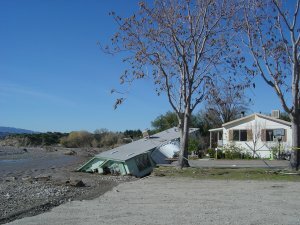 March 23, 2018: Feinstein, Knight Ensure Cemex Mine Would Be the Last Click here for article by SCVNews.com. 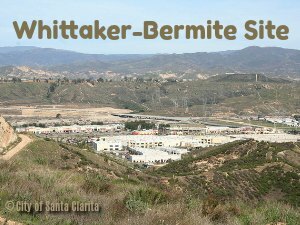 March 22, 2018: Wilk Bill Calls on Feds to End Cemex Mega-Mine Click here for article by SCVNews.com. December 2017: Cemex sues City of Santa Clarita. Click here for article by The Signal. On August 28, 2015, BLM cancelled the CEMEX contracts to mine in Soledad Canyon, citing non-performance by CEMEX. It remains to be seen what the future holds for this project. On September 29, 2015, SCV News reported CEMEX has filed an appeal and intends to "vigorously pursue all of its rights with respect to this project." While the appeals process lingers, State Senator Scott Wilk introduced Senate Bill 57, which would reopen reopen public comment on permits relating to the mine. Historical Information: While there had been a truce signed in 2007 while both parties sought a resolution, on December 17, 2014 CEMEX announced the company's plans to move forward with mining in Soledad Canyon. This came after resolution that had passed the U.S. House failed to pass the Senate. Sign up for enotify updates from the city of Santa Clarita here. A 639-acre landfill located in Castaic which has been in continuous operation since 1972. A 1997 agreement between Waste Connections, Inc. (owners of Chiquita Canyon) and Val Verde residents required the landfill to cease operation once it reached a 23-million ton trash limit, or 2019, whichever came sooner. The limit has been met, yet in April 2017 the Los Angeles County Planning Commission extended Chiquita Canyon's contract for an additional 30 years. How? In March 2017, Waste Connections anticipated exceeding the limit and applied for, and was granted, an irreversible waiver to continue operations. Therefore they were in "good standing" when applying for the extension. The new contract will allow the landfill to expand within its boundaries. NOTE: The proposed Newhall Ranch development is located one third mile southwest of the Chiquita Canyon landfill. Santa Clarita sits between two major highways: Interstate 5 (Golden Valley Freeway) and Highway 14 (Antelope Valley Freeway). Chemical spills and crashes involving big rigs are always threat. In 2007, a 15-truck pile up inside the tunnel of the Newhall Pass interchange (known as the 5-14 split) caused a major fire resulting in the loss of three lives. It shut down the interchange for almost two days. Most of the country is familiar with the SoCal gas leak at the Aliso Canyon Storage Facility in Porter Ranch. The site is approximately 700 acres with over 40 operational wells. Transmission (200 psi) and High Pressure Distribution Lines (60 psi) run under much of Santa Clarita Valley. Just off Interstate 5 at Hasley Canyon Road in Castaic is Pitches Detention Center, also known as "Wayside." The population of medium to maximum security inmates varies daily between seven to eight thousand men. Although rare, breakouts do happen at which time local residents are notified. Check our local newspaper, The Signal, for additional information in their archives. Set behind the metro station off Soledad Canyon Road, 996 acres of land used since 1934 by various companies testing fireworks, weapons and explosives Left behind in the soil were unexploded ordnances (UXO) and contaminants in the soil and water. As late as April 2017 the groundwater cleanup process was continuing. For information from California Dept of Toxic Substances Control, click here. "Despite the recent news accounts and public relations charm campaign to depict the Whittaker site cleanup as 'nearly complete', the legacy of their historic contamination of the community's groundwater basin remains to be fully addressed." Matt Stone, general manager of SCV Water. "We regularly collect and test water samples...confirm that the drinking water being served in the SCV is safe..." Jim Leserman, senior engineer with SCV Water. March 2018: Cleanup Update by SCV News. August 2017: Synopsis of the property and update by scvhistory.com. May 10, 2017: The Signal History and cleanup process. Santa Clarita has things that bite, including Black Widow Spiders and seven species of rattlesnakes. Click on the link above to see photos and learn more. As of April 2017, California Department of Fish and Wildlife advises they do not have any recent, confirmed reports of mountain lions. The California Black Bear is found in Santa Clarita and it is not all that unusual for a bear to wander into a back yard. Coyotes are also frequent back yard visitors. It is best to keep an eye on your pet and small children, as large animals cannot decipher between a wild animal (dinner) and a family pet or child. This is the page that talks about the bad things in Santa Clarita no one else can, or will, tell you. Some of these things are not all bad, but before you decide on the apartment or house you are going to live in, you should know about the local community. Just as in every city, Santa Clarita has areas that have their own set of problems. Remember, what may be a problem for you, may not be a problem for someone else. But we still think you should equip yourself with the insider secrets never openly discussed.